Watching Rocks Hamilton is exactly what it sounds like -- a live feed of a boulder sitting in a backyard in Hamilton, Ontario. As Ferris Bueller said, "Life moves pretty fast. If you don't stop and look around once in a while, you could miss it." But life also moves at a glacial pace - especially in an art project called Watching Rocks Hamilton. Watching Rocks is the creation of Meghan Price, a visual artist in Toronto. The project involved the live-streaming a single boulder located in a Hamilton, Ontario backyard. Meghan explains, "It's a static shot at eye-level, or rather the rock's eye-level, so what you will see is the rock and anything in its immediate environment - maybe a blade of grass or a squirrel if you're lucky." This latest episode is just wrapping up after six weeks of live streaming. It was a sequel of sorts to the Watching Rocks Banff and Watching Rocks Brandon episodes of the project. Watching Rocks Hamilton features a boulder that was central to Hamilton area artist's Matthew Walker's 2015 Extinction Event. "It's kind of an improvised coming together of two projects," she says. The boulder now lives in the Hamilton backyard of Ihor Holubizky, the Senior Curator at the McMaster Museum of Art. Viewers could watch the rock online and the project was also featured at the AKA gallery in Saskatoon. "I like that in a gallery space the boulder is screened life-size," Meghan says, "so rather than looking at the boulder on our phone we have more of a sense of the scale." 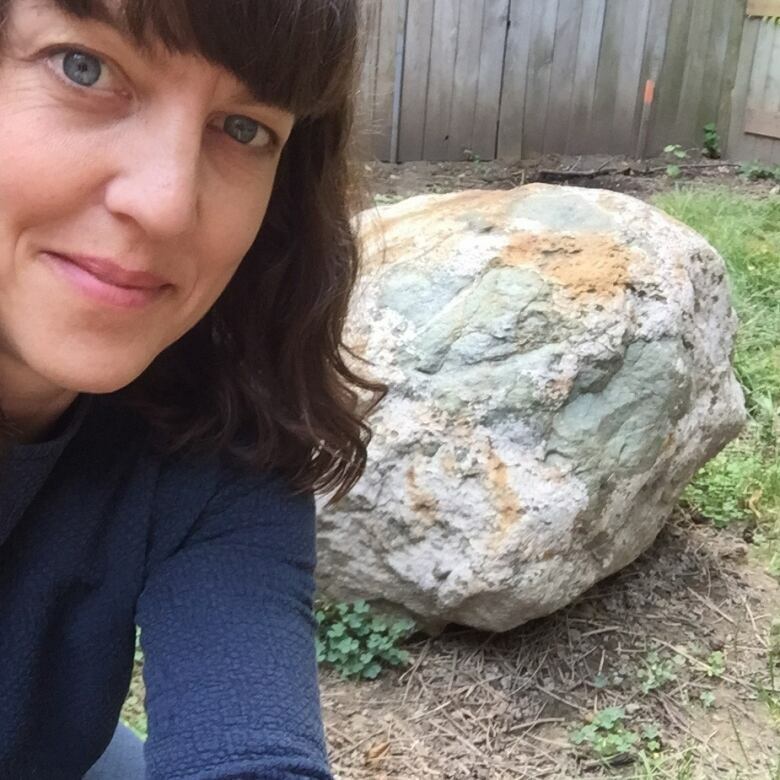 Meghan acknowledges the absurd nature of live-streaming a boulder. "The first layer to this project is that it is silly and I think it's engaging through humour." But she adds that the project has a lot to say about the pace of time. "I think encountering a boulder being streamed serves to underline our impatience and our expectations for change, and I think when we begin to watch this rock we really feel the pace of life that we have become accustomed to, largely through our use of digital technology."